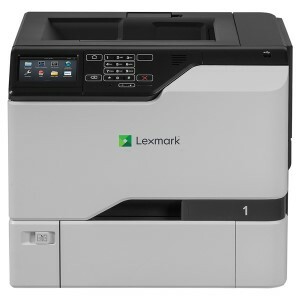 If your business needs fast, affordable, high quality A3 and A4 colour printing, then the new ultra compact C800 Series colour printers are the perfect addition to your workplace. The C800 Series is designed to deliver crisp and clear colour printing whilst reducing your total cost of ownership, energy usage and impact on the environment. The C841 features 1200 x 1200dpi resolution for even greater sharpness of detail. For that all important creative artwork or design layout, you will benefit from crisper clearer text, finer lines and smoother gradations. Clear LCD display and intuitive menu system allows simple user interaction combined with OKI software which provides improved management and control across networks, reducing the need for user intervention. The numeric keypad enables the easy retrieval of password protected documents. Power saving features such as Deep Sleep mode and auto shutdown help reduce energy consumption, whilst, high capacity, easy access toner cartridges and image drums reduce total cost of ownership and user intervention. Thanks to a fast processing speed and low temperature fusing the C800 Series delivers prints at speeds of up to 35ppm (A4) and 20ppm (A3) for both colour and mono. 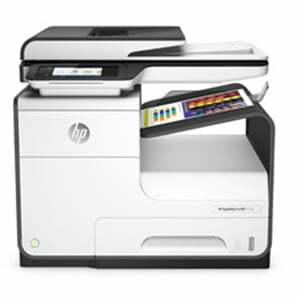 It also handles a wide range of media with paper weights up to 256gsm and has duplex printing, up to 220gsm, as standard. It also supports differing print volume requirements with a 400-sheet paper capacity which can be expanded up to 1,990 sheets from 5 sources. The C800 Series can be fitted with additional paper trays to support high volume print runs in demanding environments.